For centuries dating back to the time when Christ walked the earth, Noni has been known to contain amazing healing properties not found in other tropical fruits found in the Pacific Islands. The medicine man, also known as the village Kahuna used Noni to fight-off disease. It wasn’t until the past two decades that scientific research supported many of Noni juices healthful claims. Recently, research has been conducted at the University of Hawaii that has involved phase one of a study that focuses on Noni and cancer in humans. 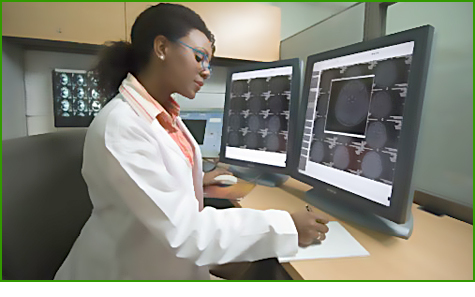 The lead investigator, Dr. Brian Issell, standardized the serving size for the study and monitors the CAT scans of cancer patients who use Noni to determine if there are any significant changes in the scans results of known anti-cancer materials found in Noni juice along with the immune system boosters thought to be regulated by Noni. A fellow researcher, Anne Hirazumi, Ph.D. published a study in a prominent journal showed the compounds found in Noni juice to slow down and even stop cancer in laboratory mice implanted with Lewis Lung carcinoma. A long with other researchers, the data assembled suggests Noni may suppress a cancerous tumor from growing by activating the host’s, in this case mice, immune system eliminating the reproduction of abnormal or mutating cells. 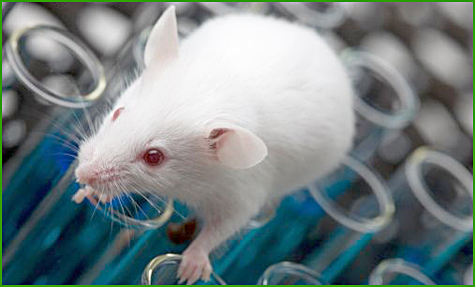 The research study demonstrated that cancer survival time in the subject improved when Noni was given to the controlled mice. The clinical researchers determined through the produced data that Noni acted to supplement and strengthen the host in cancer treatment. In the early 90s. Japanese scientists published Noni research in an article in “Cancer Letters” that added to the theory that Noni, or the botanical name Morinda citrifolia offered cancer-fighting properties that produced positive results. They looked at “Ras” cells, commonly found to be the precursor to cancer or malignant cell growth with a substance found in Noni called damnacanthal. They discovered by injecting it into the subjects’ significantly reduced and at times stopped ras cells from reproducing. It’s become an alarming epidemic for almost sixty-two million Americans who currently experience at least one type of cardiovascular disease. The estimate are about one in five adults will suffer from and eventually be seriously stricken down by one form of heart disease. The statistics show fifty-million people are diagnosed with high-blood pressure and another twelve million have some form of heart disease causing over five million to eventually experience a life changing stroke. The main cause is a result of poor diet, lack of exercise resulting in an alarming number of people, one in every 2.5 deaths to be attributed to cardiovascular disease and the ratio continues to grow as the number one killer in the United States. Organizations like the American Heart Association have gone on the offensive in efforts to halt and even reduce the number of casualties to this deadly disease. Through public awareness about the associated risk factors and the things an individual can do in prevention. Yet, cardiovascular related deaths continue to increase in recent years. What’s disheartening is many of the disease that effects the heart can be prevented through regular exercise, a healthy diet and habits like not smoking. Doing all the right things for a healthy lifestyle, many people are still at some risk for cardiovascular disease. It’s for this simple reason incorporating a natural dietary supplements like Noni juice can add to your health-maintenance strategy while reducing your risk of high-blood pressure, heart disease and even stroke. When blood pressure rises, it’s a sign that the heart is having to pump harder and harder to move blood throughout the circulatory system. Some experts have concluded that high blood pressure is mainly due to the life style and diet of the individual. Untreated, high-blood pressure not only puts a heavy stress on the heart, but also weakens arteries causing them to become more prone to ruptures and cholesterol plaque buildup. 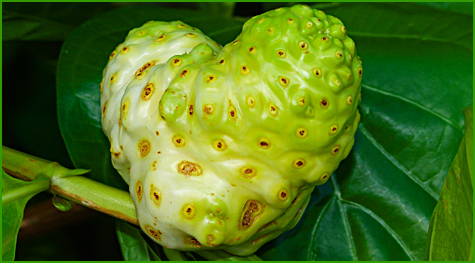 Nature provides us a solution that can be found in the food we consume, especially Noni juice. Over the past few decades, research on Noni’s chemical compounds and the effect they have in the body supports the regular use of the tropical fruit juice. One reason, Noni is an adaptogenic plant that has ability to balance many of the conditions in your body including it’s ability to regulate both high and low blood pressure without the side effects found in many prescription drugs. Your body has it’s own arsenal to fight off the effects of elevated blood pressure by producing Nitric Oxide. Noni juice doesn’t contain it, but has been shown in clinical studies to promote the production in the body. One study at the University of Hawaii demonstrated Noni enhanced Nitric Oxide production and encouraged the opening of constricted blood vessels alleviating stress on arteries and the heart by relaxing the arteries walls. Another compound found in Noni juice called Scopoletin is at the center of blood pressure regulating power in the body. Clinical research studies show that Scopoletin has an anti hypertensive effect throughout the body normalizing blood pressure. Unique to Noni juice is a biochemical called proxeronine that is believed to enhance the production of xeronine in the body. Xeronine is known to normalize cellular reactions while encouraging proper cell function. Since harden artery walls are composed of damaged cells, xeronine may aid to reverse the disease before it becomes fatal. Taken daily, Noni could be used as a preventive strategy against high blood pressure since xeronine may help to keep the circulatory system healthy by first preventing cholesterol buildup. Noni juice is a heart healthy supplement to your diet that can have a positive effect in your body, especially on the cardiovascular system. We often hear some people’s opinions that Noni juice is no different from drinking common fruit juices like apple, grape, and orange juice found in local retail stores. The fact is Noni juice contains a unique combination of biochemicals that can only be found in Noni fruit, so a real comparison cannot be made. Modern scientific investigations continue to validate what the ancient Polynesians have know as far back as the time Christ walked the earth. As scientific research continues to gain new insights through laboratory experiments using test tubes and other devices, researchers have continued to look at natural occurring elements to either prove or disprove the claims ancient herbal medicine claims. Noni first made it’s commercial debut in the mid 1990s wit great fanfare, but with some skepticism. A few research scientists, specifically in Hawaii were curious to why many of the medicinal qualities found in Noni fruit and medicinal claims made by people around the world. The study of Noni can be traced backed as far as the 1950s when O.A. Bushnell first published an article in the “Journal of Pacific Science” reported on the antibacterial properties from a fruit commonly found throughout Hawaii and the South Pacific Islands. Over the next few decades other researchers published independent studies that not only confirmed what the ancient medicine men knew about the healthful effects of Noni, but uncovered many new explanations of the substances found in Noni that makes it a powerful herbal medicine. One study, conducted by Tabrah and Evebeth published in the “Hawaiian Medical Journal” explained the effectiveness of ancient Hawaiian medicine, one of them was Noni or Morinda citrifolia. Another study from the 1960s analyzed Noni juice and the pharmacological uses with the positive results. In the 1970s and 80s, sparked continued curiosity in researchers who wanted to better understand what made Noni fruit effective in aiding the human body to heal itself and maintain a level of optimum functionality. One researcher named Oscar Levand wrote a paper after extensive study of noni while in graduate school. Later, he published an article in “Planta Medica” where some of the important biochemicals were identified as what makes Noni a useful medicinal plant. Later, in the 1980s, two clinical researchers, Abbott and Shimazu, wrote and published an article in the “Journal of Ethnopharmacology: detailing the origins and what is more important the historical justification the Hawaiian medicine men (the Kahuna) knew about the use of the Noni plant as a medicine to treat the villagers he served. Today, there are over 238 published studies in medical journals that help to explain and give us a better understanding how Noni juice helps the human body maintain a balanced and remain healthy through the years.